Kitchen is the origin of massive tasks related to cooking and food processing therefore various devices and appliances are available to be used for this subject. From them, food factories or processors are godsends for the chefs and household women spending much time in kitchen. With these food processors one can save himself from hassle and time taking activities of slicing, grating, slicing and blending. Food factory is the appliance actually performing beyond normal functions as they are electronic devices with having distinct types of blades and disks to chop, slice, puree, shred, grate etc. Food factories are versatile tools and appliances helps you in handling those tasks other normal and common appliances cannot do. Every New Year is bringing some plus in these appliances with respect to technology yet the main objective is the same that is making your kitchen experience more easier. 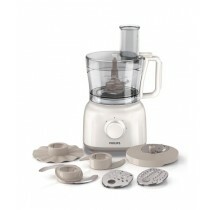 Good one food processor comes in variety of sizes, disks, and wattages. The main this here is that with how much ease you can handle them while performing task, cleaning and their successful life. Its main function is cutting of foods subject to how long you run it to perform individual tasks all depends on the quality of motor, blades and disks. One major element is the warranties and supports, for these small machines people get attracted by such warranties actually making them trust about the appliance. Regarding this, period of warranty should be one to three years, it is standard on other side it should possess a good user friendly information guide helping them to understand the operation of the machines. Top brands about food factories and processors include Kenwood, Philips, Black & Decker, Braun, Cambridge, Gaba National, Absons, Beko, Sinbo and Panasonic. You can make your perfect choice of any one form these world class brands. Looking Food Factories in Pakistan! If you are the one looking for branded food factories in Pakistan, iShopping.pk is providing you kitchen appliances from all reliable brands. Just go ahead and see our showcased array, you will find it very interesting to select from our huge collections of food factories at lowest prices in Pakistan. You will also be entertained with free shipment all across the country without any charges.